Geosynthetics is the general term of composite materials in the civil engineering. As a new type of civil engineering materials, synthetic polymers such as plastics, chemical fibers, and synthetic rubbers are used as raw materials to manufacture various types of geosynthetics. It is placed in the soil, on the surface or among various soils to strengthen or protect the soil. Geotextiles are laid directly on the surface of the subgrade or the roadway. The protrusions which may damage the fabric in the roadway or the roadbed must be removed. The geotextiles can be then unfolded and laid on the roadbed or the roadway without any fold as possible. At present, these materials have been widely used in the water conservancy, the hydropower, the road, the construction, the harbor, the mining, the military, and other projects. 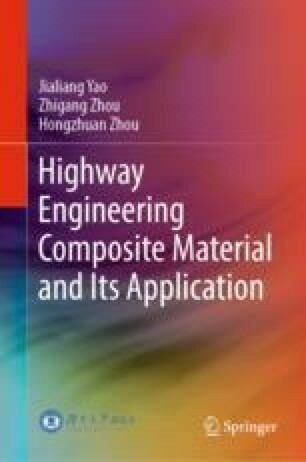 The engineering characteristic, the interface friction characteristic and functions, and the main applications in engineering are introduced in this chapter.